This pen was designed for people in our judicial system. 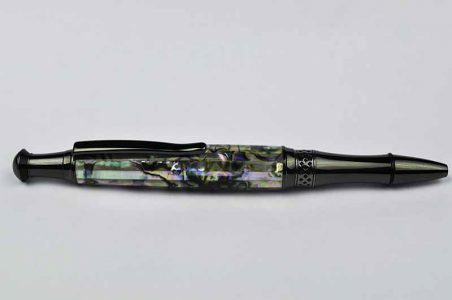 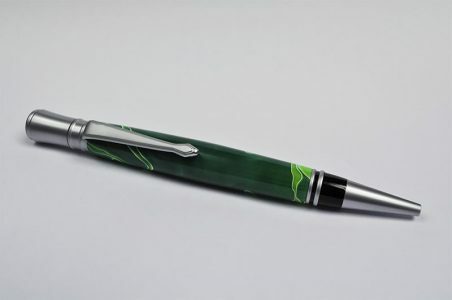 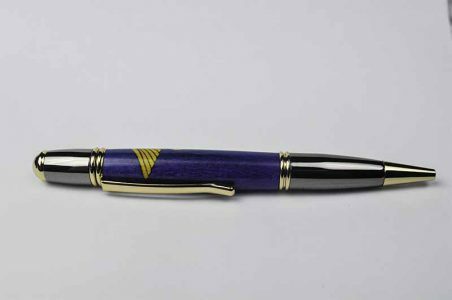 Whether a judge, a prosecutor, or Attorney, this pen will be a great gift to use and display on their desk. 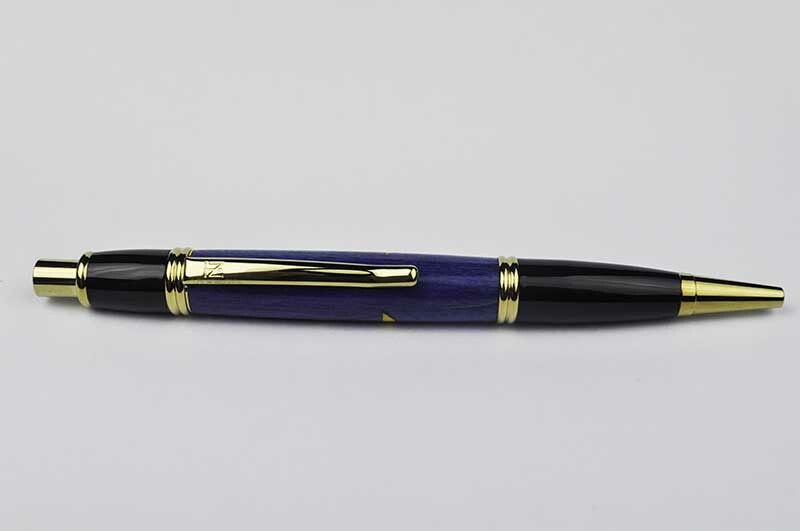 It beautifully displays the scales in gold with a rich blue background. 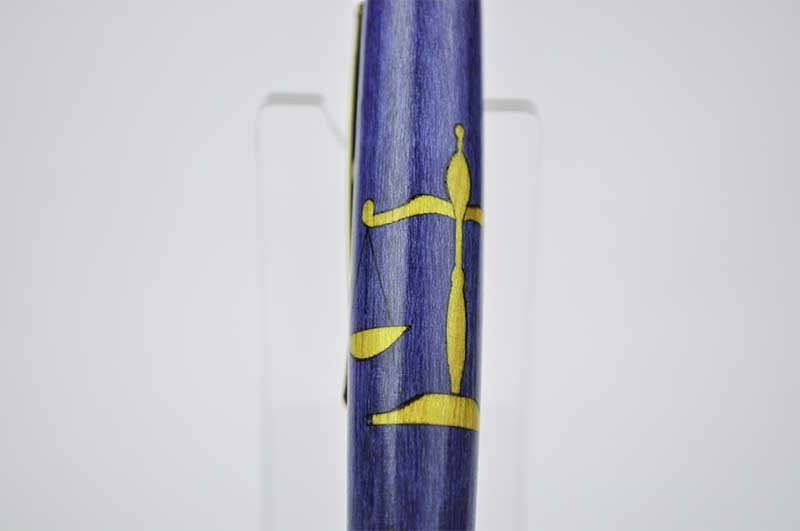 Each piece of the scales is intricately placed before turning. 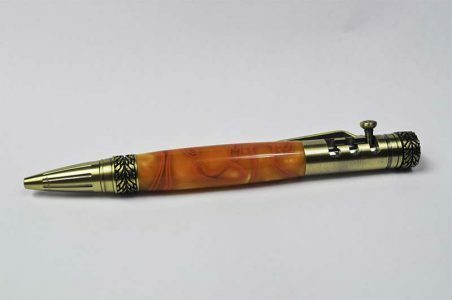 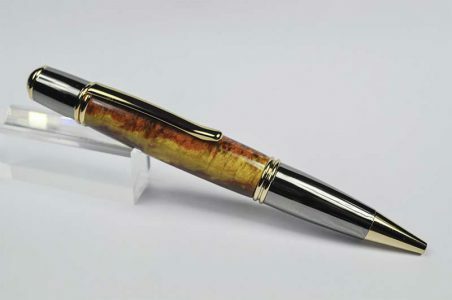 It’s finished with 24kt Gold and has a Click Pen mechanism.